Home/Kerastase/Which Kerastase Salon Treatments Are Right For You? When it comes to how you look, your hair is often the hardest thing to control. Why is it so hard to bring out your inner beauty? One reason is that over the counter products aren’t designed with your specific needs in mind. Therefore, something that may work great for your best friend may not work for you at all. That’s why so many people have been trying to find salons that carry Kerastase. Together with the salon, these people can create a custom treatment that their hair has been missing this whole time. Wondering what these treatments are or which one is best for you? Keep reading to discover the answer! What Are Kerastase Salon Treatments? We have a guide below to some of the different treatments we offer and what might be best for you. But before you seek out salons that carry Kerastase, we need to answer a more basic question: just what are these treatments, anyway? Kerastase is a brand that has been around since 1964. And before they transformed hair care in America, they made waves (in both hair and fans) all over Europe. These years of experience helped the brand design the perfect hair care products. However, creating a great product was only half of the equation. When you come in for Kerastase salon treatments, you and your hairdresser will figure out a haircare routine that is perfect for your particular hair and your particular needs. No more doing the same thing as everyone else! In this way, you are able to take control of your hair and its needs more than you ever have in your life. But the first step is to understand the different Kerastase treatments and how they can help you add depth, volume, and shine to your hair. 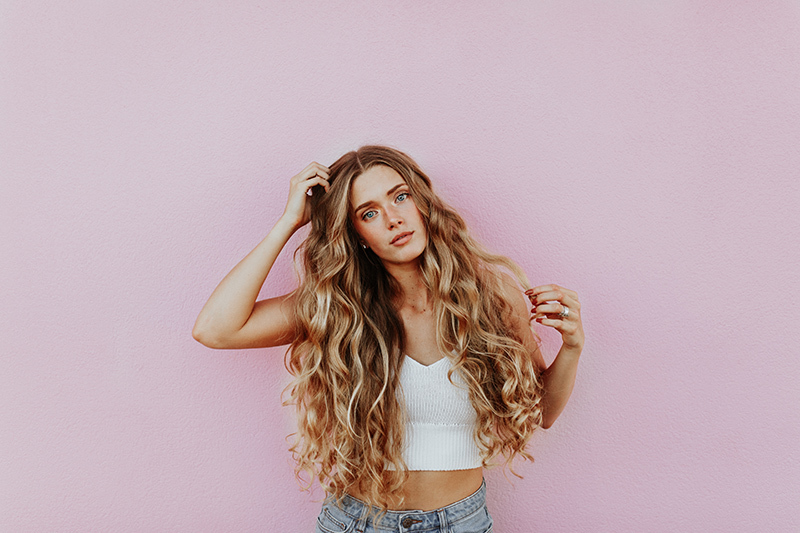 Keep reading to find out some of the most common Kerastase treatments and what they can do for your hair (and your happiness). Do you experience dry hair long after the winter season has passed? If that’s the case, then you may need to try out some of our Kerastase masks and balms. These were specially designed to help those with dry hair. However, they also work well for anyone who has really sensitive hair. The masks and balms are full of helpful ingredients to help your hair grow healthier. For instance, special extracts help to protect against multiple forms of hair oxidation. And the unique blend of glucose, protein, and lipids helps to bring life back into your dry and sensitive hair. Finally, special conditioning agents and emollients brings nutritive performance back to your hair. And the design of the product helps it to cover all of your hair without the hair feeling weighty and uncomfortable. If masks and balms aren’t your bag, we also have a variety of Kerastase shampoos. And the large variety of shampoo treatments are a large part of why everyone is trying to find salons that carry Kerastase. For instance, if you suffer from damaged hair, we have a variety of Kerastase treatments designed to repair that damage. This leaves your hair feeling clean and natural once again. Or is your hair feeling very thin? In that case, there are shampoos that help to add thickness and density. This can give you full and lustrous locks and all the confidence that comes with them. Like to change the color of your hair to something wild and exciting? For adventurerers like you, we have Kerastase shampoo that is specially designed to color protect your hair. This ties in with the importance of a salon appointment (more on this soon): together, we can find a shampoo that is perfect for you and your hair needs. Ever wonder what a producer actually does for a movie? On a good day, the producers are the people who help to bring out the very best in a movie. When it comes to hair, conditioners really are the producers of your look. And the very best producers are Kerastase conditioners. As with the shampoo, many people are looking for salons that carry Kerastase because there are different conditioners for different needs. For example, those who want their hair to be its shiniest best should check out Kerastase beautifying conditioner. Is your hair just dry enough to make it look flat and bland? In that case, you should check out our Kerastase moisturizing conditioners. Or maybe the humidity in the air is making your hair curl up? If you want a smooth look back, then you need to check out our selection of smoothing conditioners. No one can have a perfect hair day on every single day. But with these Kerastase conditioners, you can come pretty darn close! Earlier, we discussed the problem with over the counter haircare products. Most of it comes down to the fact that the companies who make these products think that everyone suffers from the same hair problems and needs the same kind of attention. A major reason that people are seeking salons that carry Kerastase is that the company understands that haircare is not a solo journey. Instead, they want you to seek out a salon and make a Kerastase appointment. Our specialized haircare experts will not settle until they help you find a hair treatment plan that is unique to you. That means diagnosing what the exact issues are and zeroing in on the best way to approach them. Furthermore, we like to think that our customers develop real relationships with our haircare experts. You may need additional hair help and maintenance as time goes on; why not get it from our world-class professionals? If you’ve been searching for salons that carry Kerastase, then you don’t have to look any further. Come on down to our salon today and see what a difference that Kerastase can make in the right hands!